I pulled over and harvested about a pound. The range I’d read was 1-5 lbs per 5 gallon batch. Without a beer ready for them, I took the clusters of dusty berries off of the central twig, vacuum sealed them, and froze. That was enough of an excuse to brew a batch of Berliner weisse (fermented with US-05 and Omega Lacto Blend - similar otherwise to this recipe). After primary fermentation I racked 1 gallon onto the resulting .75 lbs of sumac, and another onto .5 oz of dried Turkish sumac from Penzeys for a month. Obviously if the dried version is just as good, it certainly would be easier! Taste – The same fruit flavor from the nose, but more pronounced cherry candy. It’s a really fun flavor, that doesn’t stray into cloying. Acidity is snappy, sort of Vitamin-C, quick and punchy. No sweetness, finally breaks the comparison to "fruit" beverages. I'll be making the trip down to Asheville, NC March 22-23 for another round of BYO Boot Camps! As usual I'll be talking about Wood/Barrels one day and Sour Beers the other. I said it before, but this really is looking like the last one of these for me given how much time running a brewery takes! That said, I don't understand why the TTB objects to Eastern Red Cedar. The TTB has already blessed the use of chips/staves/etc. made of any type of wood the brewer wants during beer storage. (See "Processes Determined to be Traditional" at the bottom of Exhibit 1 to Ruling 2015-1.) I suppose the cedar needles could have something in them, but people have been using juniper for centuries with no noticeable ill effects. I hope they are more reasonable when they reopen. TTB did not adopt the Brewers Association’s request to exempt malt beverages made with juniper branches, pluot, spruce leaves, squid ink, or woodruff from the formula requirements, because the available data did not establish that these ingredients are traditionally used in the production of fermented beverages designated as beer, ale, porter, stout, lager, or malt liquor. In addition, TTB did not adopt the request to exempt malt beverages made with licorice (or licorice derivatives) as flavor enhancers because of the limitations placed by the FDA regulations on the maximum levels of these ingredients. See 21 CFR 184.1408. The use of any of these ingredients in beer will continue to require a formula submission. I have a feeling if Lars Garshol's work had been widely known in the U.S. at the time, then juniper would have been recognized as traditional. That's very interesting about the Sumac. I've seen it for as long as I can remember along roads in the Fall. Although I'd caution people about picking it alongside highways. 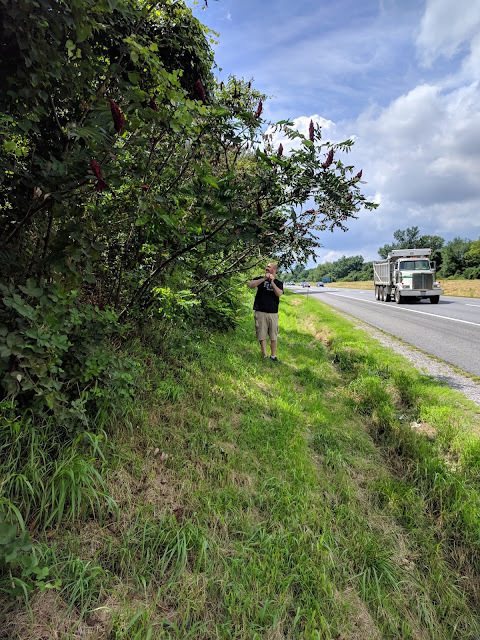 Highway departments sometimes use some pretty horrible chemicals for weed control, and chemicals can come from road construction and exhausts and settle on plants or be taken up in their roots. 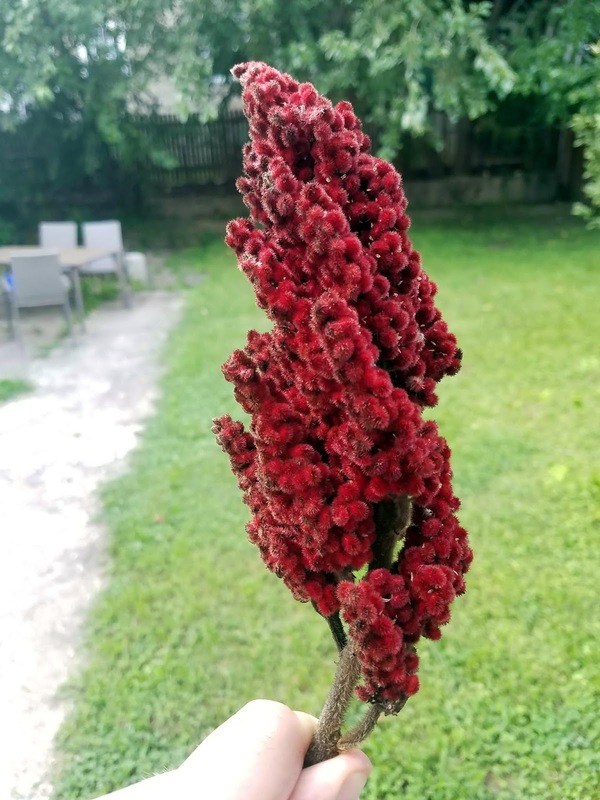 Sumac is prolific, though, and I am sure you can find a lot of it in less busy areas where it can be harvested with less worries. @Mike - just as a comment, tasting notes that refer to specific retail products are meaningless to those of us in the 95% of the planet where eg Ricola cough drops are not sold. At least give us an alternative to work on, you've given us nothing here. I could tell you that something tasted of Irn Bru with hints of Buckfast, and whilst Glasgow would know exactly what I meant, even people in England would struggle to get the idea. On the wood thing - by James' logic it would be OK to use yew leaves/berries in a beer, which are highly toxic. But hey, it's a tree, so in theory you could use its wood in barrels. If you wanted to use Lars' work, then it would only apply to the European juniper, Juniperus communis, which is relatively rare in North America, where different species are more common. That may be true, but last month 80% of the blog's traffic was from the US. Aroma is one of the senses most closely tied to memory, and when something specific hits that's what I'll use. For those who have had the reference it is going to say so much more than "herbal." It's difficult to describe flavors and aromas without missing descriptors for some people, although I can see that saying "Hershey's Chocolate Bar" at least gives people a partial idea even if they haven't had the specific product. Agreed, alcohol is in an odd place of regulation in the US thanks to our history of prohibition and the growth of the craft brewing industry. Mike, Did you have any luck with getting Sumac approved with the TTB? (if you have submitted it yet). I haven't tried yet, but will soon!